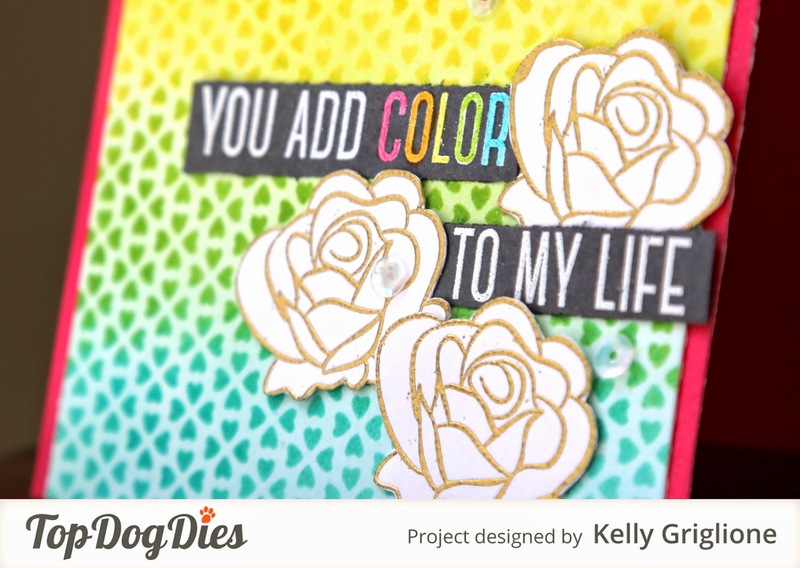 Rather than use the actual negative or positive die on the card, I used the die as a tool for a stencil/blending project. The die is only an inch or two wide, but since there's a repeating pattern it's easy to sponge ink through it one time, move the stencil down your card, line it up with the previously inked area, and stencil some more. After repeating this several times you end up covering the entire card. After sponging in the hearts, I removed the stencil and blended the background with the same color to give it a richer look. 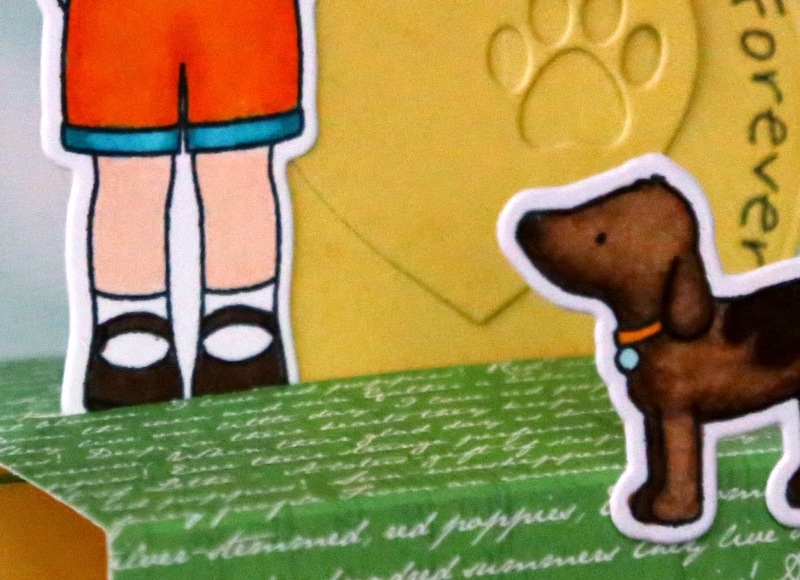 For the sentiment, I colored each letter of "color" with a different copic marker on top of the white embossing. 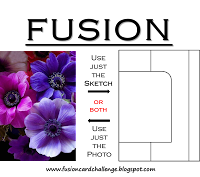 OK, so aside from next week's recap, this is really it for the Heart Border Die. I pinkie promise! You can also see the sentiment inside, which I tried to "wag" like the little dog's cute tail! 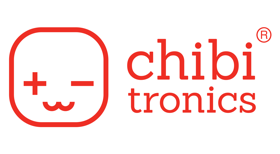 Sadly, this is my last guest post for MFT Sketch Challenges. 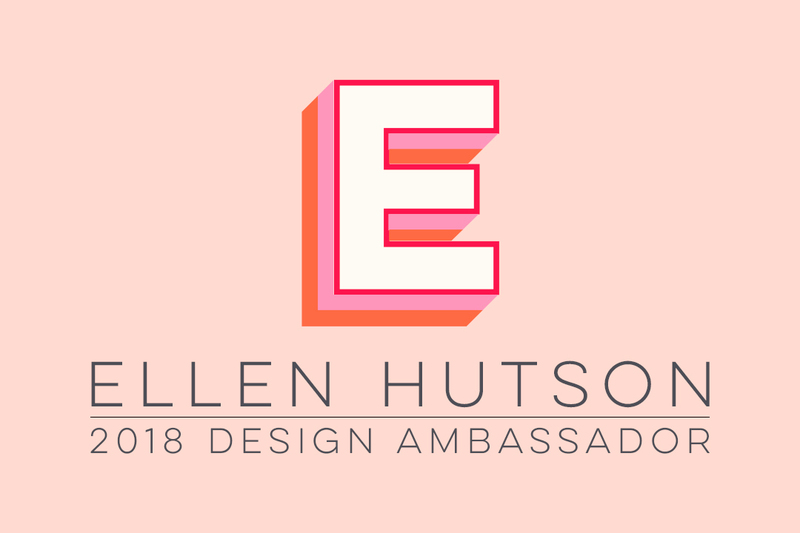 A HUGE THANKS to Ms. Susan Opel for inviting me to participate for the month of March! It is quite an honor and I had so much fun playing along with all the AMAZING talent on the MFT team. Boy do they make some incredible cards!! It's funny how someone will pin a random card from years ago and it will just take off and generate more traffic to your site than all of your current month's projects combined. 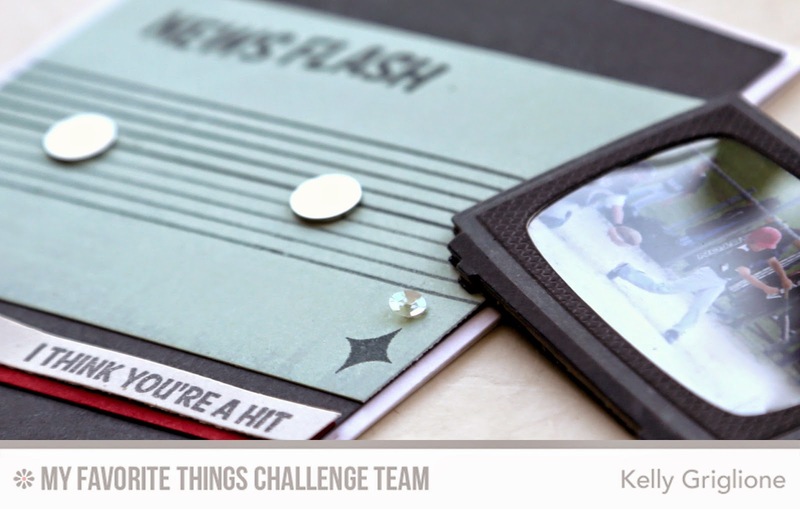 It's even more strange when that card is the FIRST CARD you ever posted on your blog, way back in January 2012 for a PTI blog hop. (nice kitchen floor in the photo, Kelly!) Trying not to take it personally that my first card posted has more views than ANY of the 500 cards I've posted since then, I have come up with a rationalization. I think the popularity may have to do with me linking cards up to non-card blog parties in the first couple months of blogging, before I really figured out the landscape of the card-making blogs. It must have gotten broader attention that way. Playing Cards, Birthday Cards or Both! Hi folks! 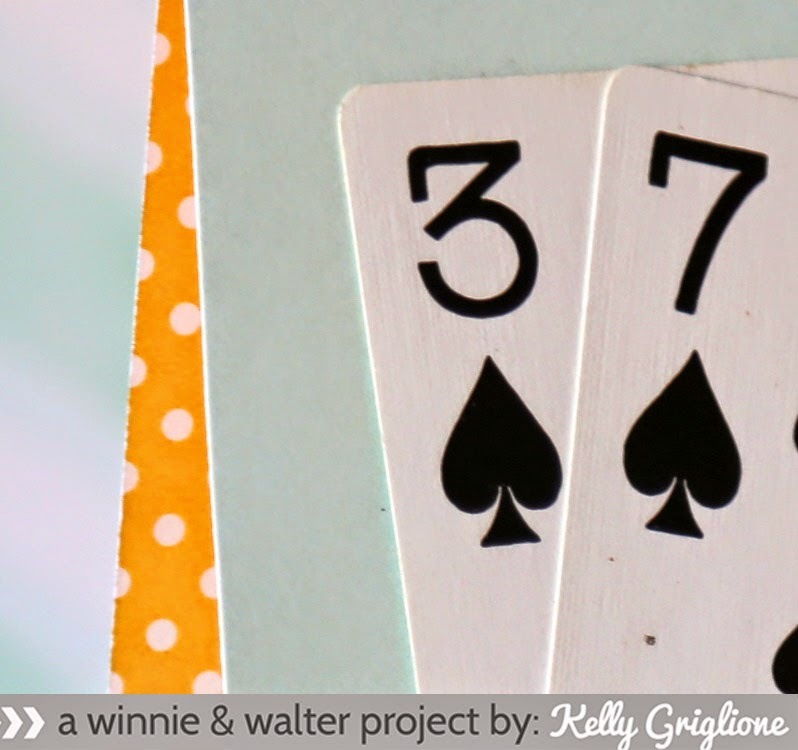 I've got a fun idea for using playing cards to make a customizable, yet quick, birthday card. 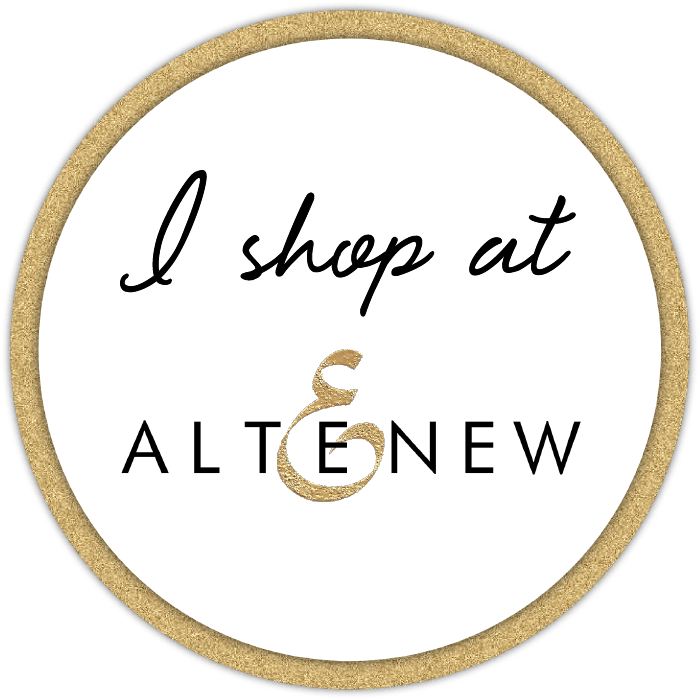 Stop by the Winnie & Walter blog for more details! 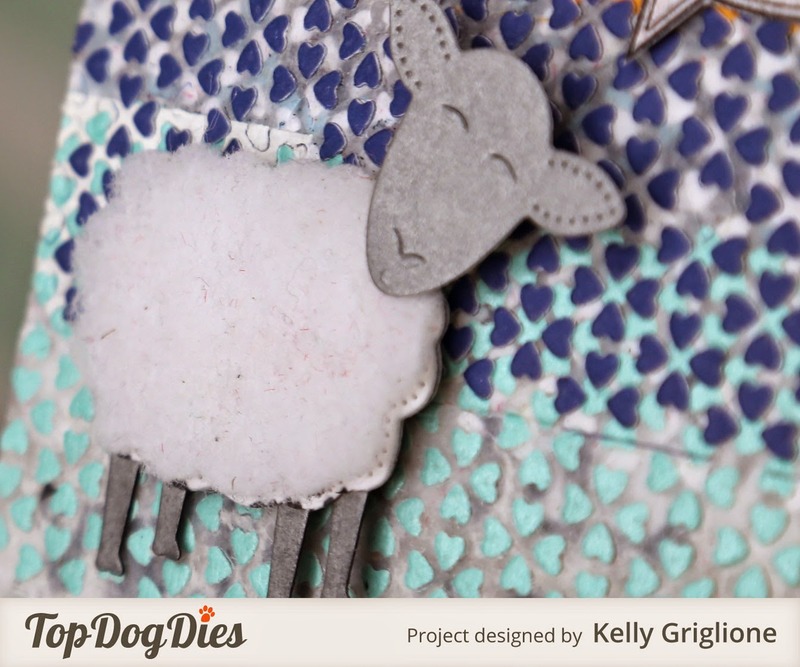 Right after making last week's teen boy card with the Heart Border Die squares, I noticed that the dryer sheet I was using had a neat, unintentional, layered look to it. 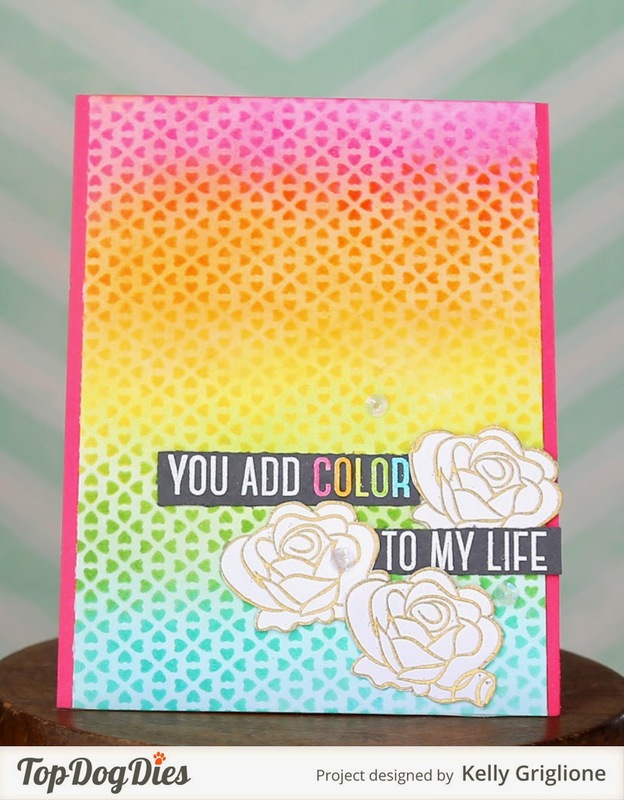 I was really excited to use this on a card as a background! 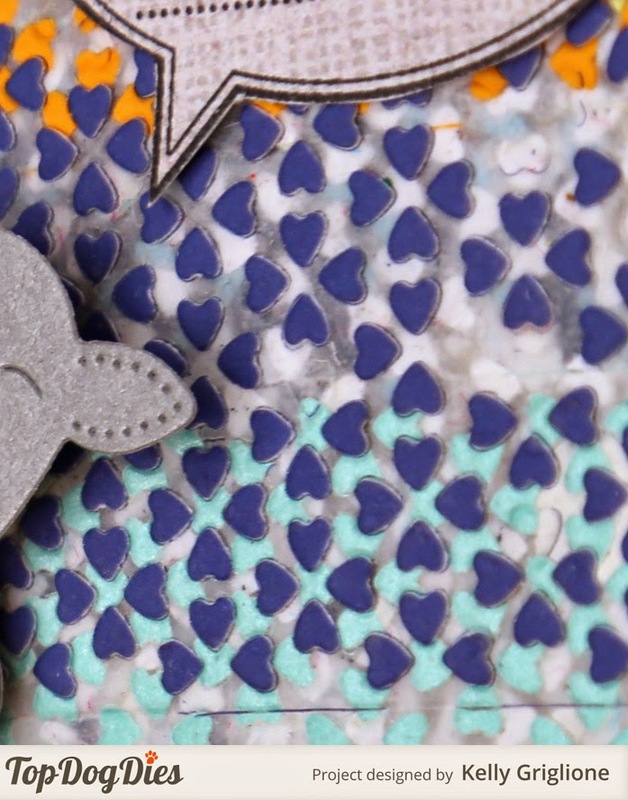 Love the overlapping, love that you can see some old layers of white hearts underneath, love the waxy texture that's developed from running it through the die cutting machine so many times, love that it's totally random and unplanned. And I love that I didn't need to spend any time creating it! Here's a closer look at the Sheep Die. I cut a layer of silver for the head and legs, then a layer of white for the body, then a layer of batting to make it fluffy and more realistic. You may be thinking this is quite an odd subject matter for a birthday card. 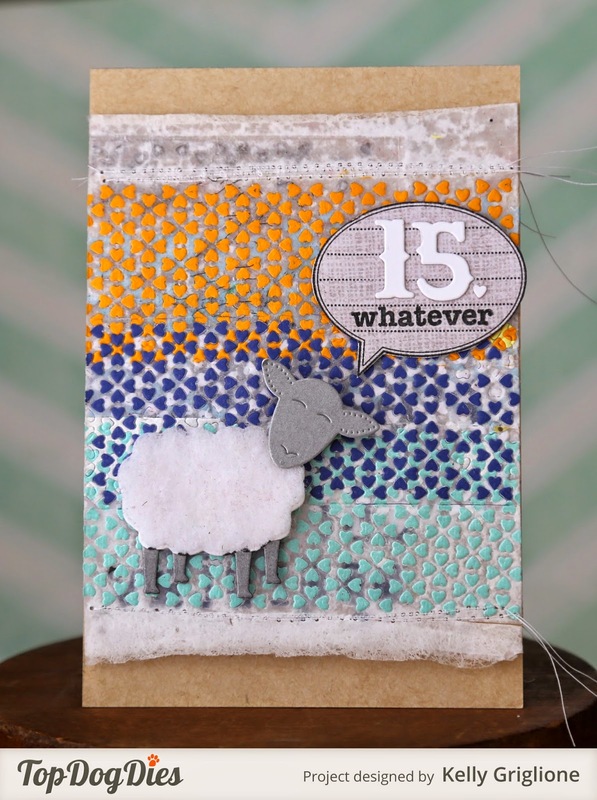 A sheep with a "15. whatever" sentiment. Well, I really enjoy the dry sense of humor my Godson has, and I think he'd really love to see a sheep sassing him like this on his birthday. Whatever. You're 15. So? Hahaha! We'll try something than the usual "happy birthday" with him this year. I think we may be done with the heart border die! The monthly spotlight somehow turned into 2 1/2 months. Next Friday I'll either pick a new die, or do a recap post. Hi Folks! I'm pleased to share the last new CAS-ual Friday set that was release yesterday! The small/medium/large star die in the Twinkle set is such a staple, I know it's one of those that won't leave my desktop. Turning them into the 3D barn stars is only a few scored lines away (here's a how-to). So in love with the scripty sentiments in this set! 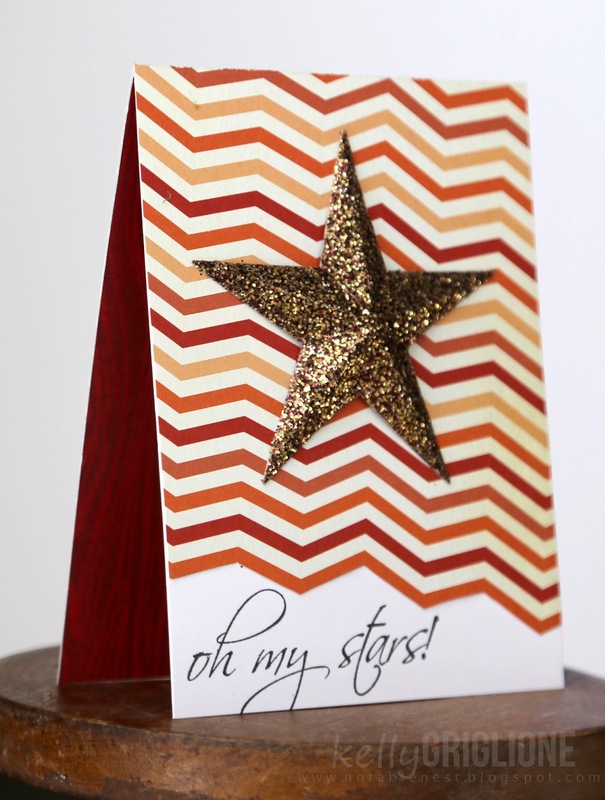 The big, bold star, patterned paper, and sentiment do all the work, making this a quick card to put together. 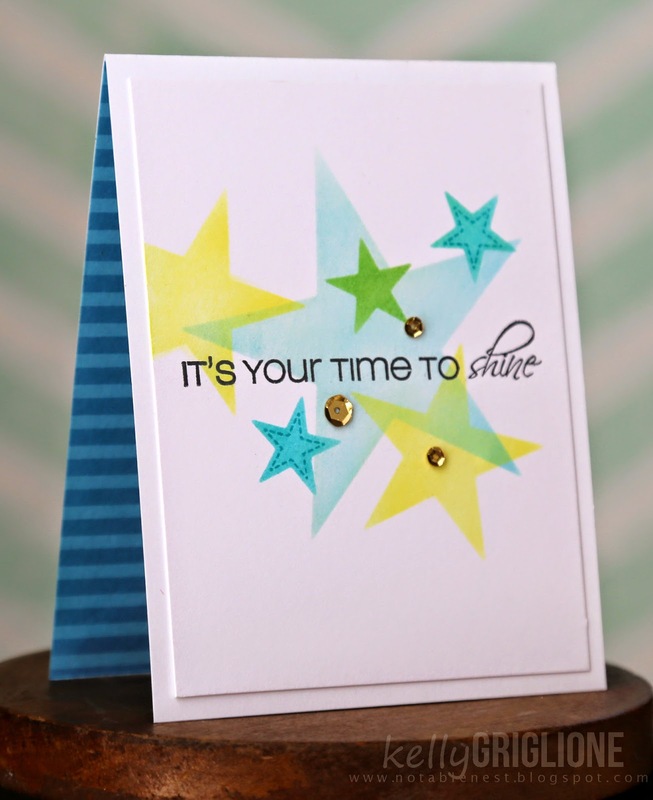 This card uses the star Fri-dies as templates for sponging distress inks. It was fun to layer them and put the sentiment in between it all. 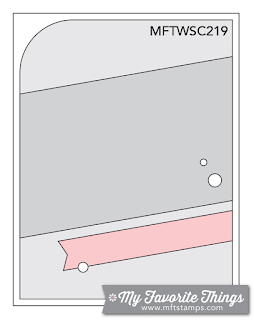 The stamp set includes stitched star outlines that turned out to be just the thing this card was missing. This set and yesterday's mailbox set are available now in the CAS-ual Fridays store! Welcome to another fun Fusion Challenge! This week I was taken with the amazing texture on those purple flowers. Totally reminded me of crepe paper. So that's what I did! I colored a strip of white crepe paper with purple copics, cut rectangles with rounded corners for each petal, and colored the middle in with a darker purple. Then I gathered each petal and adhered it around a small circle which I used for the base. 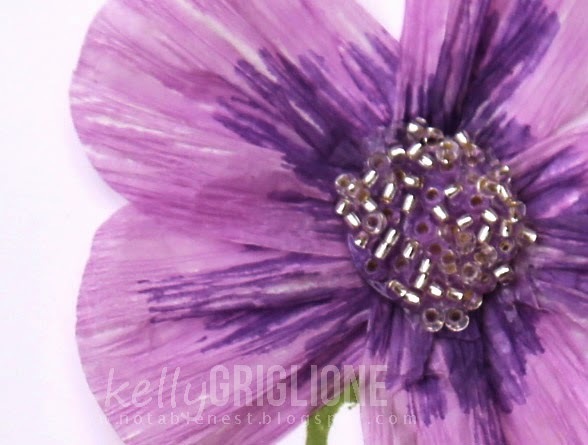 The center is another purple circle, topped with glossy accents, and sprinkled with clear seed beads. 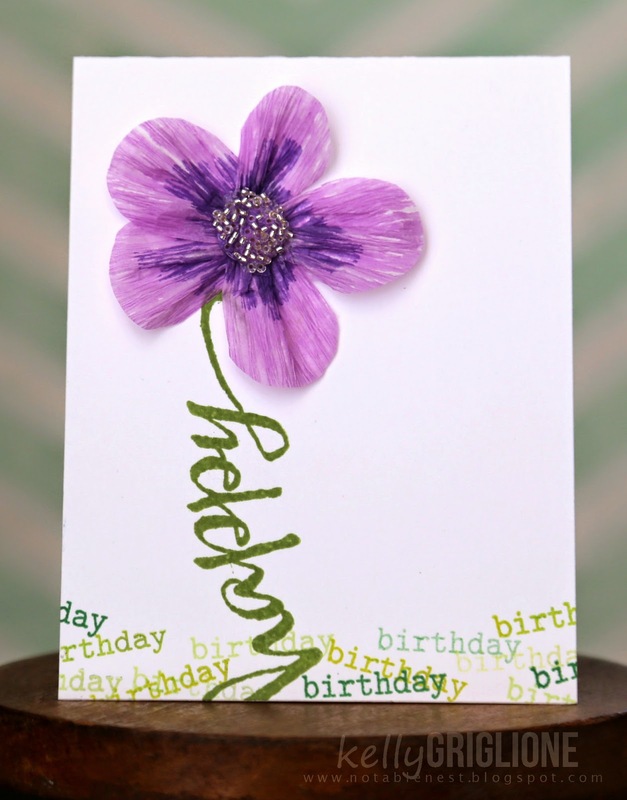 The scripty Big Bold Happy sentiment from winnie & walter makes a nice stem for the flower. 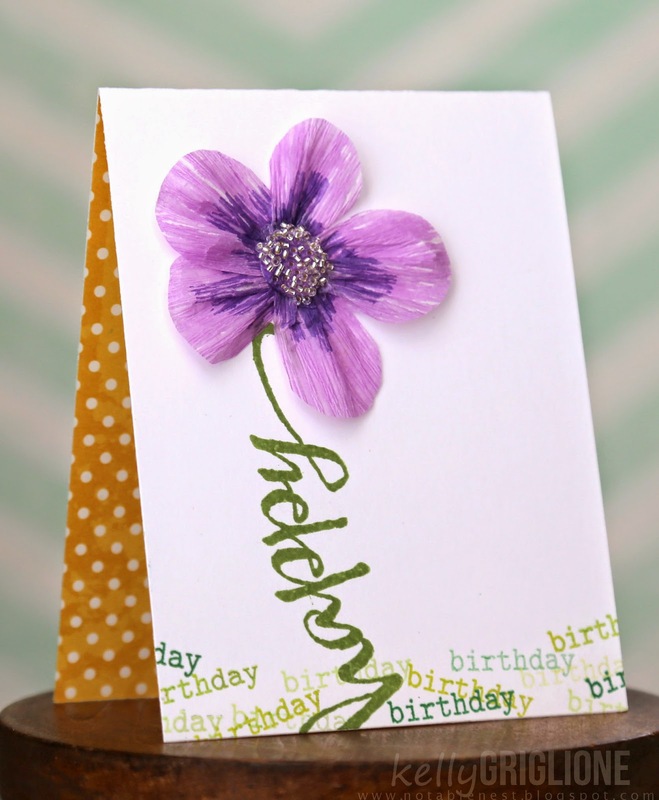 To finish the sentiment, "birthday" is stamped several times in different colors to make up the ground. Hi Folks! There are two new CAS-ual Fridays sets being released today! The first set has a really fun mailbox theme. The Mailbox Fri-Die comes with a super-cute mailbox flag that you can make operational with just a tiny brad. 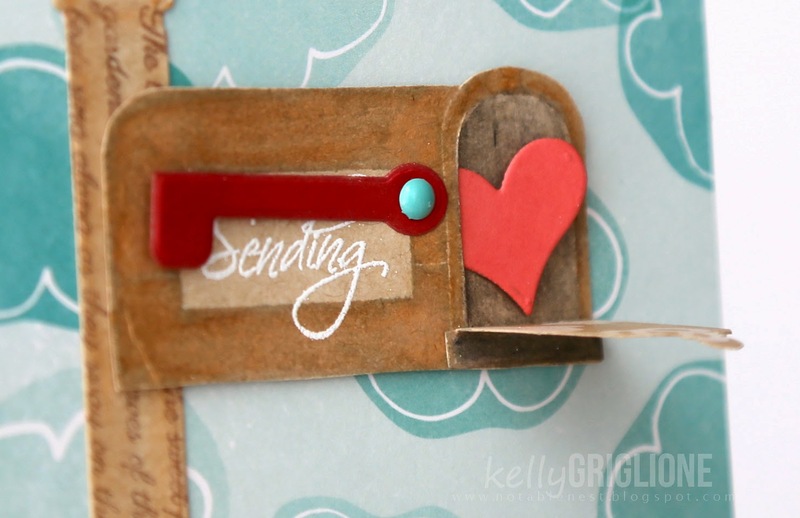 Here I also made the mailbox door operational by hand cutting a door from another layer and adhering it to the card at the bottom. Here it is in action, with the flag coming down and the door opening up. Love how the sentiments fit on each section of the mailbox. The text background from Outloud is stamped down the mailbox pole. Then the fun part is deciding what to put in your mailbox. Going along with the "Sending you hugs" sentiment, I slipped a heart from the Tic Tac Toe Fri-die inside. It's the perfect size! Tomorrow we'll be revealing the other new stamp and die set, both of which are released right now in the CAS-ual Fridays store! In my life before kids I worked as a 401(k) consultant to fortune 500 companies. Early on, one of my responsibilities was to send out 50 tabbed and bound reports to my client on a monthly basis. I hated it. It took me a whole day to complete. I still remember sitting on the floor of my office, in my suit/pantyhose/heels, surrounded by piles of paper and metal binding supplies. A couple months in, I asked my client what they did with all these reports. One they kept on their desk, and the other 49 they just buried in the filing cabinet. Arrgh! All that work for nothing. I was sick, but ultimately happy because the next month I just bound one report and the other 49 were sent on fiche (microfilm). That was my first big lesson in knowing your audience and what they want. How does this relate to cards? Many of my cards are sent to kids under 10 years old. I've found (mostly through my own kids) that they usually don't care if you send them a card with the latest trend, hottest stamp set, or most difficult masking technique. What they do like to see is themselves. Plain and simple. They like to see their name and/or a picture of them. Because we're stampers, we still like to dress things up a little. 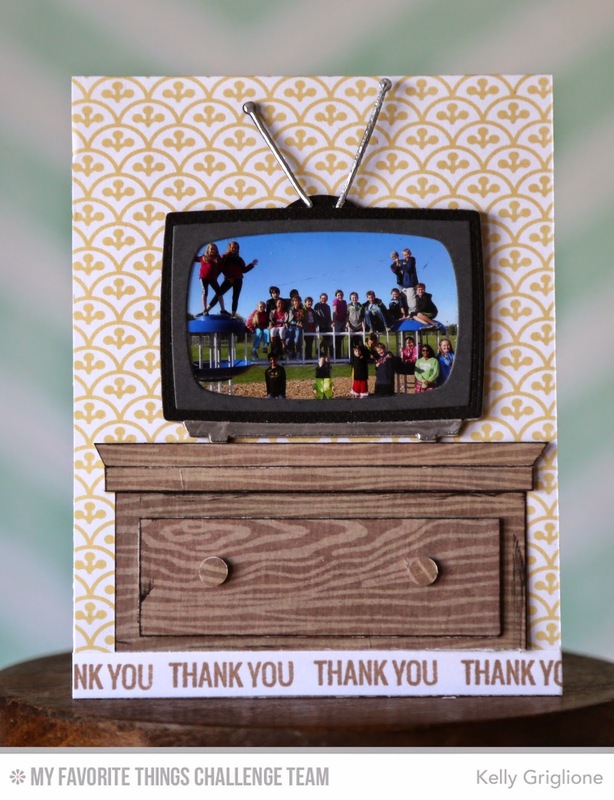 So you know I was beyond excited when I realized the TV set from My Favorite Things Die-Namics Stay Tuned was the perfect size for framing 2x3 photos. 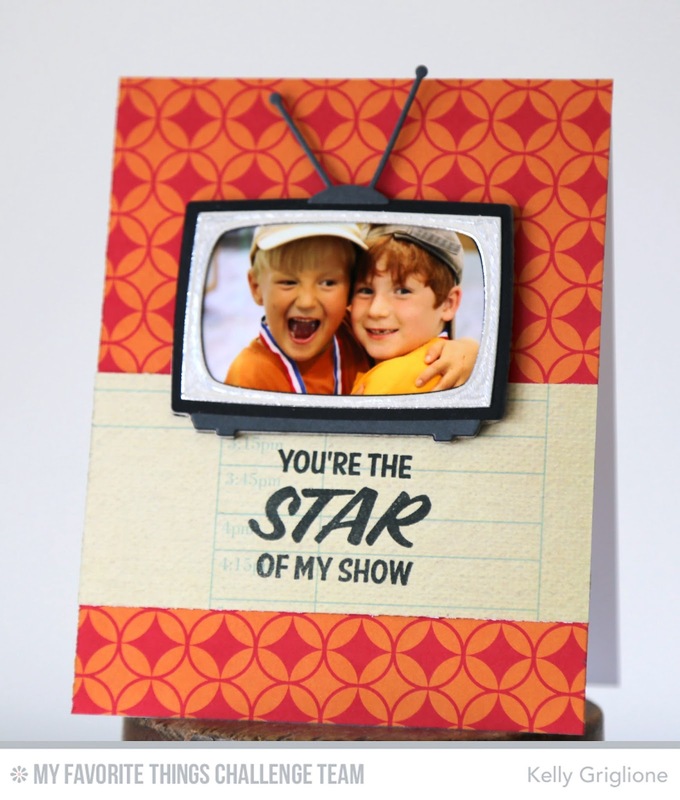 If there's anything kids like to see more than themselves, it's themselves being famous on TV! This is the card I made for a birthday party my son went to this weekend (he's the crazy hugger in orange). Love how it turned out, and love how the sentiment from Stay Tuned supports the photo. 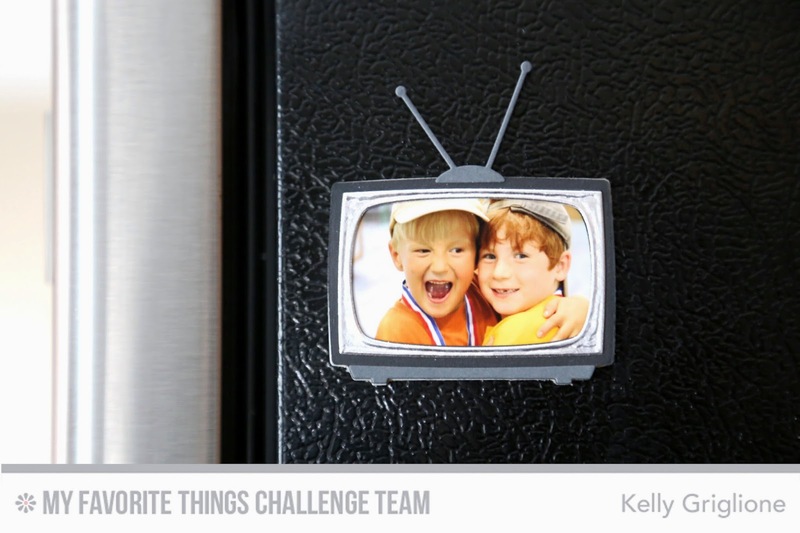 Then I thought of something else kids like ... seeing themselves on the fridge! So I turned it into a magnet. After mounting the framed photo on chipboard, I die cut a self-adhesive magnetic sheet ($10.50/dozen at Oriental Trading) and adhered that on the back. Ta-da ... now they can look at themselves ALL YEAR LONG! 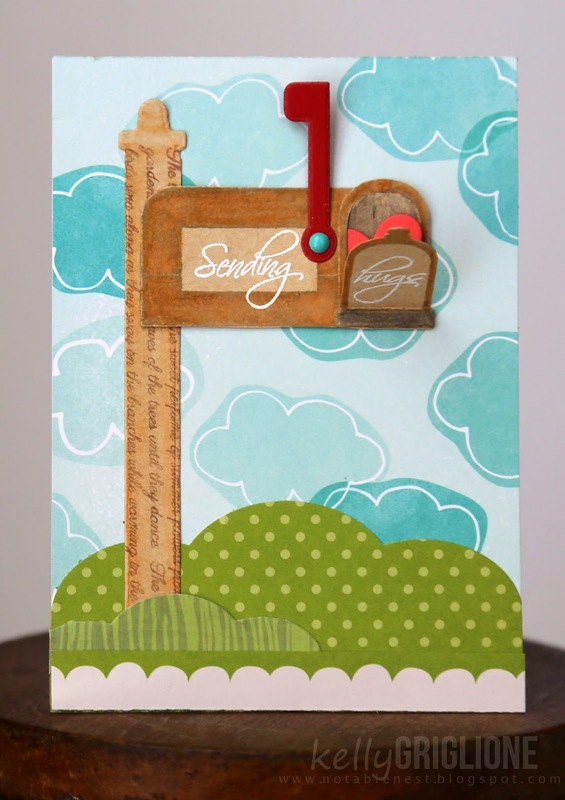 I made one for my son using the sketch at the My Favorite Things Sketch Challenge. To adhere the TV magnet on the card I used magnetic disks. Two disks hold the TV in place (otherwise the TV slides around with just one magnet). You may also see a glare on the magnet. 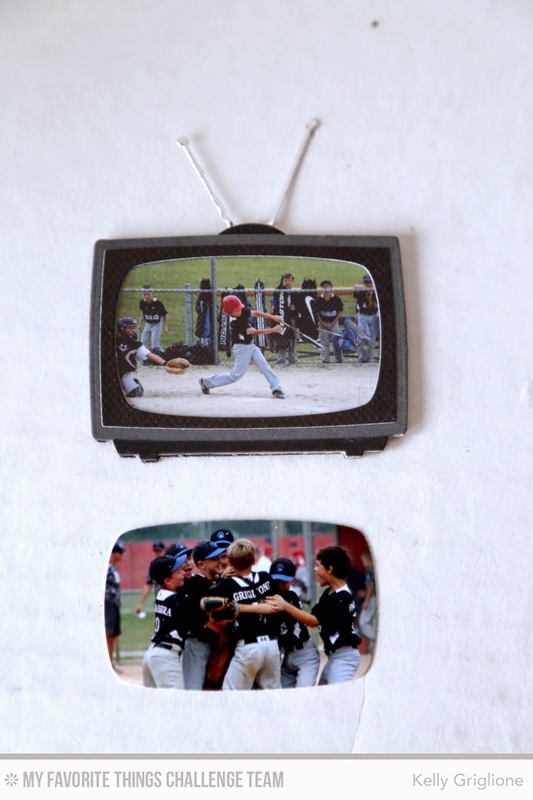 I die cut a piece of acetate to put on top of the photo so it looks more like a TV screen. Since I had some photos left over, I thought why not die cut those as well. Now he can "change the channel" by switching the photo ... hahaha! I was just so darn excited about this idea that I ended up making end-of-year Thank You cards for their teachers (this would be great for coaches too!) I used a 2x3 photo of the class and thought the teachers would enjoy the small magnet as a memento of their school year. To make the dresser the TV is sitting on I just cut randomly-sized rectangles from woodgrain paper and inked the edges for more definition. 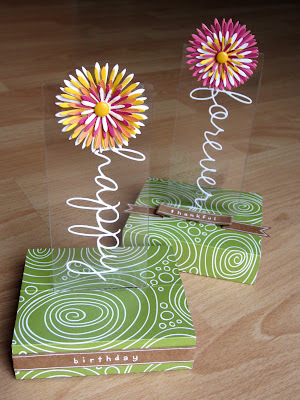 Then to save on time I just used a strip of woodgrain paper for the remaining two cards. I picked background papers that reminded me of wallpaper. This may be my new go-to birthday card concept. I've already got the card started for next weekend's birthday party. It's so easy these days to just grab a picture off FB if you don't have one. My son is pretty laid back about most things, but he really lit up when I gave him the card and he saw himself batting on TV. So worth it! Anyway, thanks for sticking with this long post. I'd like to also direct your attention to Kathy Racoosin who is joining the MFT challenge this week. She is currently hosting a 30 Day Coloring Challenge, where you're encouraged to color something everyday for, umm, 30 days! 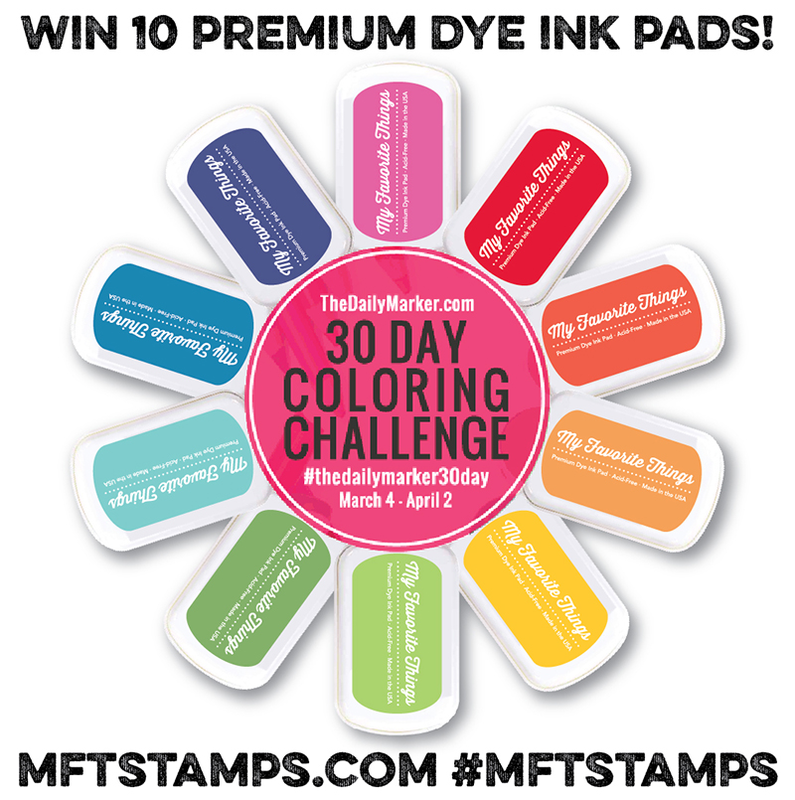 You can comment to win the dye inks in the attached photo over at her blog. 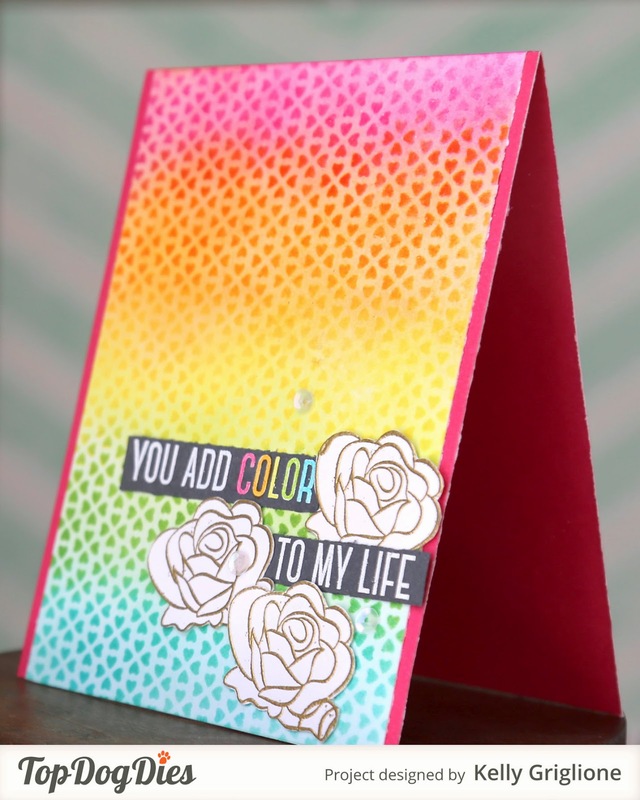 First I cut the Heart Border Die in four different colors. I layered two colors at a time and cut them into squares. Some of the edges overlap to give it more of a random, rough look. The squares are all just attached in the middle of the card underneath the word balloon. The curled edges add to the teen-boy-look as well. The word balloon and cheeky sentiment are from My Favorite Things. - sweater pattern, with tiny black horizontal dots in between two rows of blue and one row of black. Even if you think my pattern descriptions are goofy, the point is that you can really get a lot of different looks just by playing around with how the layers are positioned. You can create a nice patchwork effect this way, and get more mileage out of your left over die pieces. Thanks again for stopping by! I've got one more heart border card for next week, using the actual dryer sheets that have gotten so much use around here this month. 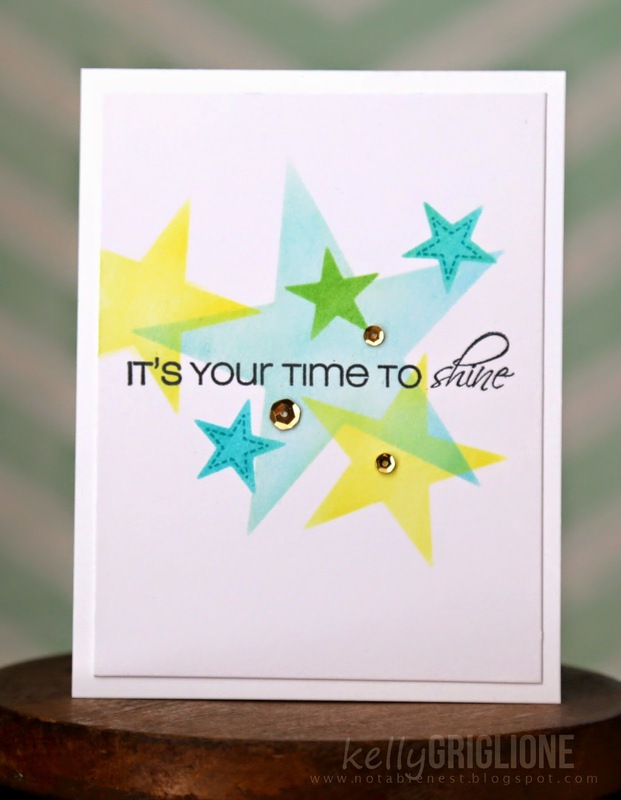 My Favorite Things Sketch Challenge: Guest Designer! 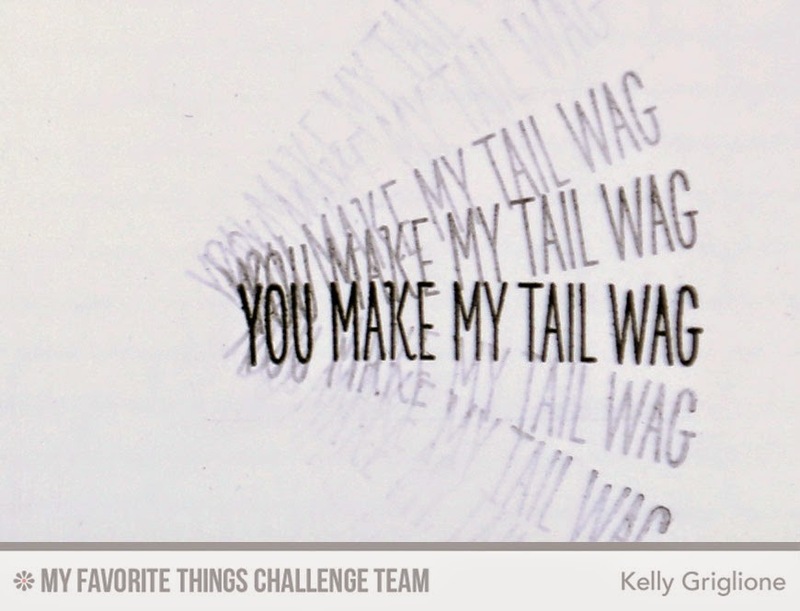 I was beyond thrilled when Susan Opel asked if I'd like to join the amazingly talented My Favorite Things challenge team for the month of March. 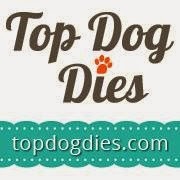 I absolutely love My Favorite Things products (they have some of the best dies around!) and of course everyone loves Susan, so it was doubly exciting for me. Here's the sketch for this week's challenge. Here's where my project started from. And here's where it ended up. 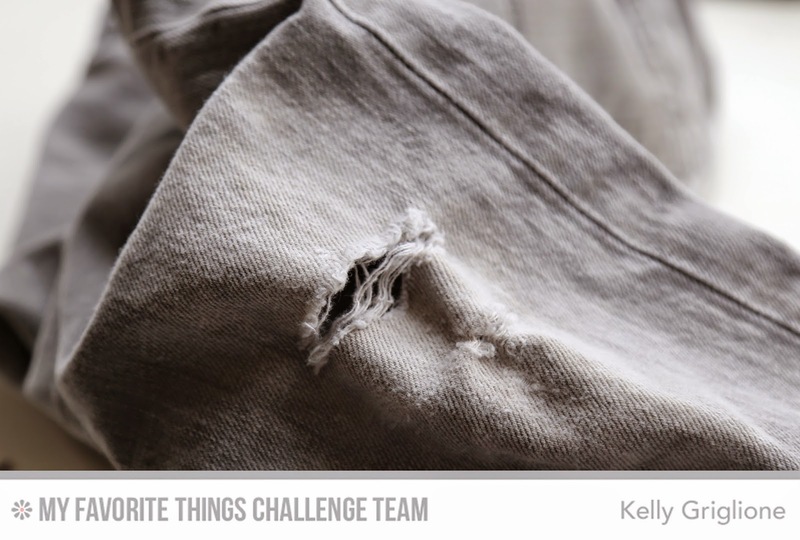 I'm only supposed to share a sneak peek, so please head on over to the MFT Challenge Blog to see the real deal. I sure hope you get a chance to join in the fun this week. A randomly selected winner will receive a gift card to spend (easily) at MFT!